Many people can only dream of owning their own home. But The New Zealand Housing Foundation (HF) is making this dream a reality for families across the country. HF provides options for getting New Zealanders into new homes of their own, helping them manage their finances so overtime they can afford to buy it outright. HF is a not-for-profit, charitable trust set up to support and grow the community housing sector and provide affordable housing for low income households. The organisation is focused on developing communities and growing strong, safe neighbourhoods. HF has the backing of some leading philanthropic organisations, such as The Tindall Foundation, and is supported by central government in many of its developments and programmes. Since the organisation was established in 2001, HF has helped 200 Kiwi families move in to homes of their own. HF is currently in the process of developing another four housing developments, two in Auckland, one in Christchurch and one in Kaikohe. Vikki Ham, 45, is one of the many people helped by HF. She tells her story of how it feels to be given the chance to own her own home and how it has changed her life and the future for her two sons. Ever since she was young, Vikki Ham has had a goal to own her own home. But the mother-of-two never imagined her dream would be achievable. Today, she stands proudly in the kitchen of her brand new home in the Auckland suburb of Massey. After years of hard work and thanks to the assistance of HF, Vikki has a place she can call her own and a home for her two sons, now aged 21 and 18. 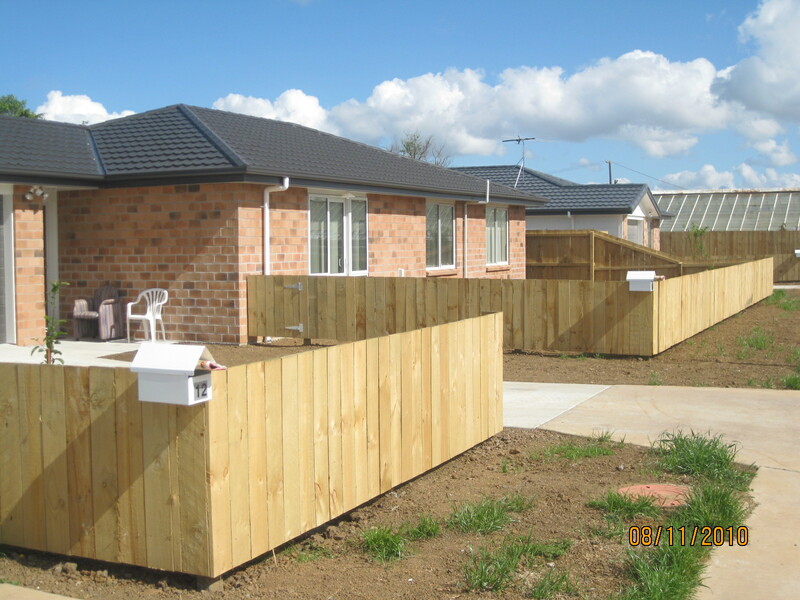 Her warm sunny home is one of 11 houses built by HF in a lane in Colwill Rd, West Auckland. Vikki, who had been living in a two-bedroom unit with her sons for 10 years, was delighted to move in to her new home in February this year. “I was battling breast cancer, working full time, bringing up my two sons on my own, and I just never thought it would be possible to be in a lovely, brand-new home like this – and best of all it’s ours. There is no doubt that Vikki has worked incredibly hard to achieve her goal, doing everything she could to make it a reality for her and her sons. Vikki heard about HF through a work colleague and only one year after making initial contact with HF she was moving in to her own home. Vikki was able to purchase the house through HF’s Affordable Equity programme. It enabled her to purchase a share of the home at a level she could afford, with HF owning the other portion. With the guidance and support of HF, Vikki organised her own mortgage and used her KiwiSaver as a deposit. The advantage of this arrangement with HF meant Vikki was able to take on a smaller mortgage than would normally need to purchase her home at the market value. “The process was very straightforward. I’d never applied for a loan or mortgage before. I didn’t realise I could use my KiwiSaver as a deposit. This made things a lot easier. I didn’t have any debt, had been working in the same job for 10 years had no credit cards, so this certainly helped with my application. When Vikki lived in the rented unit, as her sons grew older, she moved into the sitting room to give her sons a bedroom each. Now she has a four-bedroom house she can’t believe how spacious it is. All of the families living in HF houses in Colwill Rd have made the street their own. Many of the gardens are beautifully manicured. You can tell the owners take great pride in their homes. Vikki is hugely grateful to HF for all their help and support. For further information on NZHF visit www.nzhf.org , email info@housingfoundation.co.nz or call 0800 4 HOUSING. You get all the privileges of ownership without funding 100%. You buy what you can afford. Your share grows in proportion to your investment. When you want to move on, you sell your equivalent share (e.g. 75%) back to HF, or to the open market, based on an independent valuation less a management fee. The Tindall Foundation is a private family foundation that gives to organisations and communities throughout Aotearoa New Zealand by way of donations, training, capacity building and research, and by partnering with others.